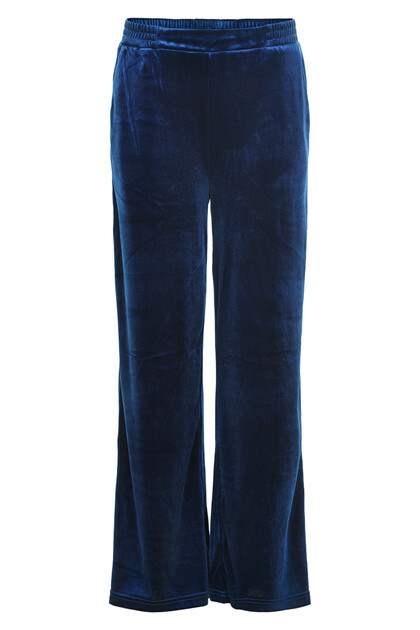 Really beautiful and casual looking velvet pants from KAFFE. The pants have elastic waistband, side pockets, a loose fit and are wide in the legs. The beautiful and comfortable pants will undoubtedly steal all the attention! The pants have a nice inner and smooth lining, which just makes the pants lovely to wear and they have a very good stretchy quality. With these trousers there are many style options available. It is possible to style them with a trendy high heel or, with a pair of sneakers or make it completely casual with a cute boot. Match the pants with Kelly Blazer for a completely fashionable and cool velvet set.